Buying an annuity—good idea or bad? 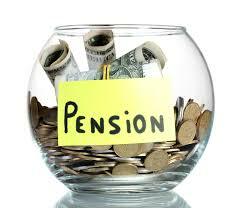 Pensions are one of those romantic notions from a bygone era, like doctor’s house calls or ice cream parlors. Many from the older generation earned a pension with their job and receive a monthly payment that will last as long as they do. Fewer from the younger generation have pensions, although a few still do, but that job benefit is disappearing as quickly as your local Barnes and Nobel store. As pensions quickly disappear, being replaced by things like 401k and 403b accounts, many people in society wax nostalgic. “Pensions are the really good benefit; that’s the one you want.” But pensions haven’t gone extinct. There is a thriving, enormous industry where you can buy a pension for yourself—ANNUITIES. You can go to Met Life or Fidelity or one of a thousand other places and buy an annuity. Basically, you give them a lump sum of cash and they give you a monthly check for the rest of your life. So that $3000 per month pension that you wished your company gave you, you can buy that for about $540,000. Are annuities a good deal? So we know that we can buy an annuity which is basically like getting yourself a pension. Now the question is—should you buy an annuity? Are they a good deal? This became somewhat relevant for the Fox family a few months ago when I left Medtronic. As I mentioned there, I had to choose between getting a lump sum of cash or a pension. I went through the calculus and determined that financially, given my age and other assets, that the lump sum probably would have been better, yet I went with the pension. This was a bit of a head-versus-heart decision, and I went with my heart. So how about you? If you have a pile of cash that you’re planning to use for retirement, should you use that to buy a pension? Let’s look at the numbers. Luckily, in this day and age, you can find pretty much anything on the internet. Annuity prices are no different. I go to Fidelity’s website for this info, but you could just as easily go to a hundred other websites. Today, I could take $100,000 of savings and buy an annuity that would pay me $386 per month, each month until I die. Is that a good deal? Probably not. Think of it this way: I could take that $100,000 and invest it in the stock market, which I estimate returns 6% per year. Then each month, I could withdraw $386 from the account. After 52 years (when I turn 90 and pass away surfing a massive swell off the coast of Portugal) any guesses how much that account would have left in it? Remember, after I die the annuity would be worth nothing. But my account would be worth . . . $500,000. What? Wait! How is that possible? I could go into the math, but the short answer is that with that annuity, Fidelity is “paying” me about a 4.2% return on that $100,000 I gave them. If I can get 6% by investing it in the stock market, knowing it has its ups and downs but on average comes in at 6%, then I will come out well ahead. Conversely, if I got less than 4% by investing in the stock market, I would come out behind. So the question you need to ask yourself is what kind of return you think you can reasonably get from the stock market over your entire lifetime. Fortunately for you, we have looked at historic returns and you can get a sense of the likelihood of being able to beat that 4% bogey. At least based on historic returns, this is a no-brainer. The likelihood is very high that you’re better of investing your money in the stock market and foregoing an annuity. What would make annuities a good deal?
. . . the annuity industry is huge and a ton of people buy them. Is it all a rip-off? Are they all stupid? When I first started writing this column I was prepared to say “yes” to those questions. But I have given it more thought and I’m prepared to offer a solid “maybe”. As with all investments, it depends on your situation. For annuities, it mostly depends on your age. As a 38-year-old Stocky, I think they’re a terrible choice. I am SUPER-confident that I can do better than 4.2%. Also there are a lot of unknowns out there with regard to inflation, life, my financial situation, my personal health, etc., that make me really reluctant to lock up my money in an annuity. Even as a 50 or 60-year-old fox I’d probably pass. But as my tail turns from red to gray, I think pensions start to make a lot more sense. Remember, as a 38-year-old, my $100,000 would be worth a $386 monthly pension. As a 70-year-old, my $100,000 would be worth a $646 monthly pension. If I think I’ll live to 90 and then die in my surfing accident, that implies a 6% return, quite a bit better than the 4.2% when I was 38 years old. Also, a lot of those unknowns that kept me from wanting to buy an annuity when I was 38 are a lot less important when I’m 70. I’ll have a pretty good idea of the state of my health (the worse your health, the worse an annuity is as an investment). I’ll have a time horizon of closer to 10 or 20 years which definitely means that I should be pulling back the investment risk I want to take. I’ll have a sense of the direction inflation is going. For all these reasons, I can imagine when I am a geriatric fox that buying an annuity would be a good choice. As a 38-year-old, it’s a terrible choice. So that’s all well and good when you’re a septuagenarian, but what about when you’re younger. After all, Stocky, you did opt for a pension when you left Medtronic. That’s a good point and if you’re young I think the way you need to look at pensions as a bit of a bond, with an expected return in the 4% range. We all know from asset allocation that you should have a mix of stocks and bonds, more heavily weighted to stocks when you’re younger and then slowly moving to bonds as you age. For me and the decision on the Medtronic pension, this was the reason. The Fox family’s portfolio is very heavily weighted to stocks, and at our age that seems appropriate. But the pension was a way to get a little bit of a “bond” in there, so that’s what we did. So there you go, if you’re younger really the only reason that buying an annuity would make sense is if you wanted to tone down the risk from stocks.